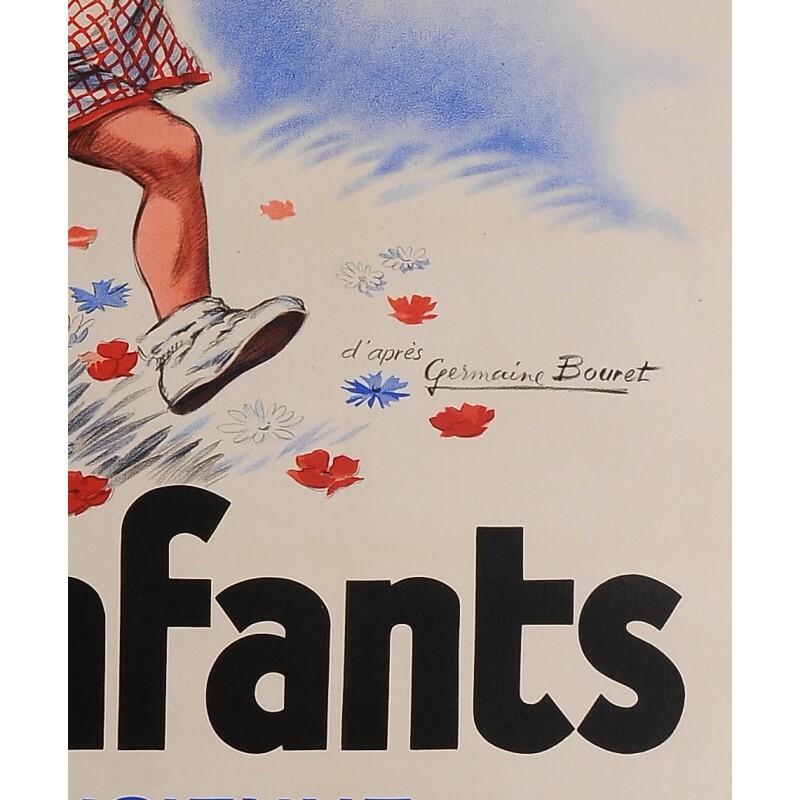 A joyful poster commissioned ca. 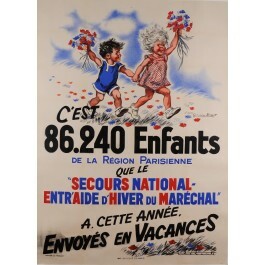 1940 by the « Secours National », a charity organization sponsored by the French government, boasting of having sent 86,240 underprivileged children of the Paris area on holidays. 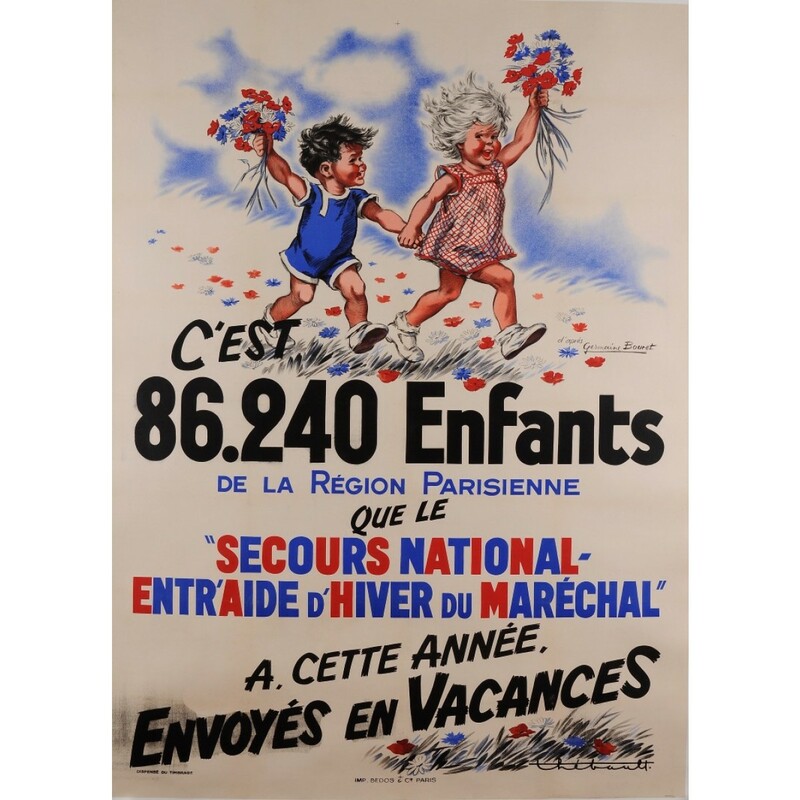 This poster was realized after Germaine Bouret (1907-1953), a French artist famous for her delightful depictions of children.